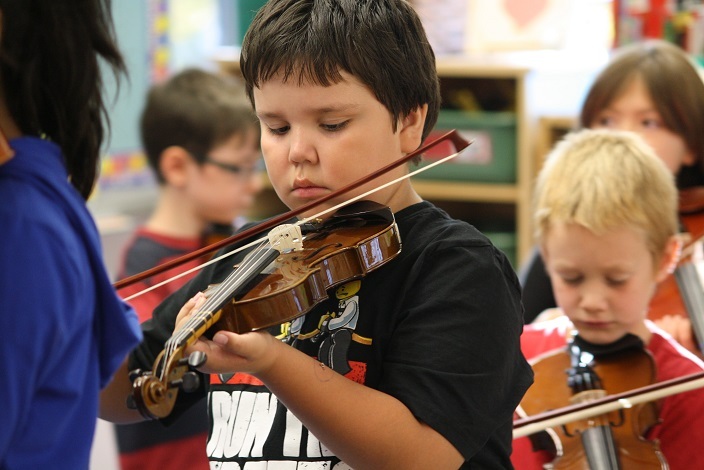 Our programs are much more than learning to play fiddle. As well as honing in on their playing skills and techniques, kids and teens will learn about leadership, group dynamics, working in a team, and being on stage. 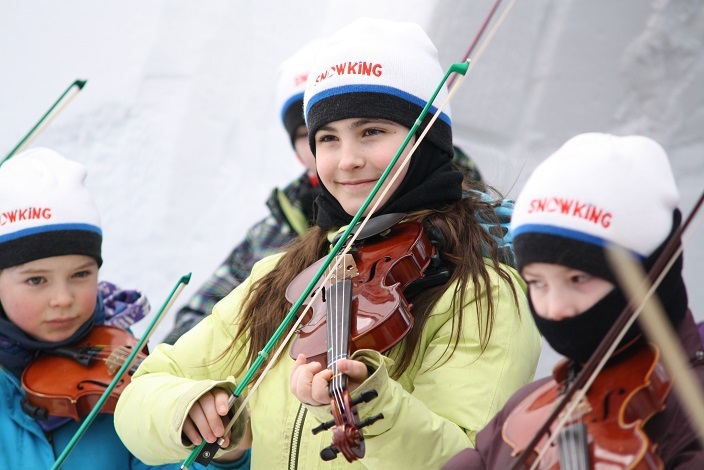 Known as the Fiddle Cats, these experienced youth focus on arrangements, finer techniques and performance skills, and put their training to the test with community performances throughout the year. This is a full-year program for youths aged 12 and up. Knowledge of the group's repertoire is required; contact AFS for more information. Beginner fiddlers improve and expand the beginners’ repertoire, and learn some fun tricks for technique and group arrangements. This is a one-season program for youths aged 7 and up. Fridays 4:40 - 5:10 p.m. 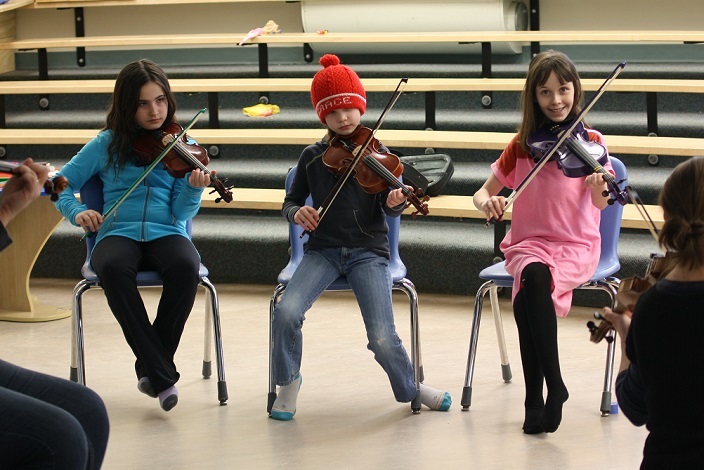 First-time fiddlers learn the important basics of fiddling, and get an early (and fun) start in playing with others. This program is for youths aged 6 and up. First-time fiddlers are asked to attend the first workshop in January to help get them started. Fridays, 4:00 - 4:30 p.m. NOTE: The Performance and Beginner youth programs are designed to compliment and expand on a child's existing skills and instruction. The First-time youth program is designed to introduce your child to the fiddle, and to provide the basic skills to jump-start their learning experience. We strongly recommended that your child receives individual fiddle lessons alongside these programs.